While I absolutely love the Summer months, Fall is my favorite time for baking! The Fall flavors – pumpkin, caramel, apple, cinnamon – they are all bring a feeling of coziness and warmth to our lives. Out of all the Fall flavors, I think pumpkin is the most popular with everyone. There are endless recipes with Pumpkin flavoring like Pumpkin Bread, Pumpkin Muffins, and even Pumpkin Pie Fudge. Putting together the Pumpkin Fluff Recipe takes only minutes. You will need a can of pumpkin, whipped topping, instant vanilla pudding and pumpkin pie spice. You can use full-fat versions of whipped topping, or cut back a bit on calories and go with fat-free. 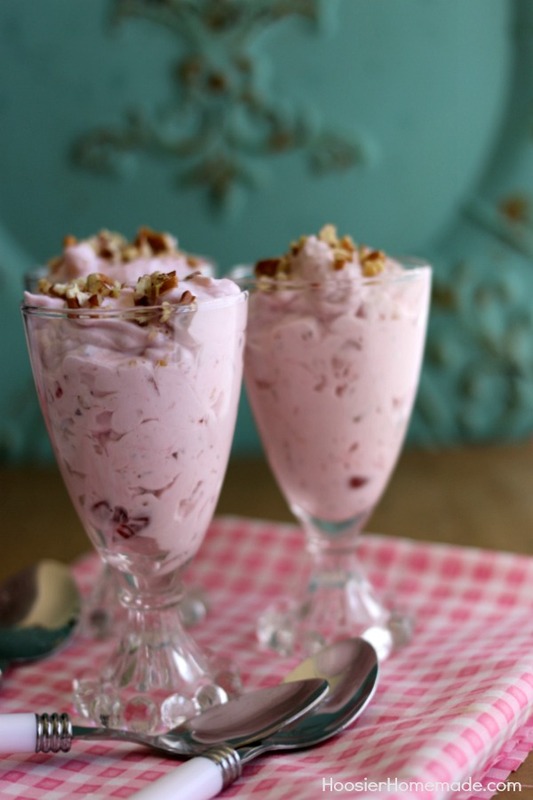 And using sugar free pudding is also an option to cut back on calories. Add all the ingredients to a large mixing bowl and fold together gently with a spatula until well combined. 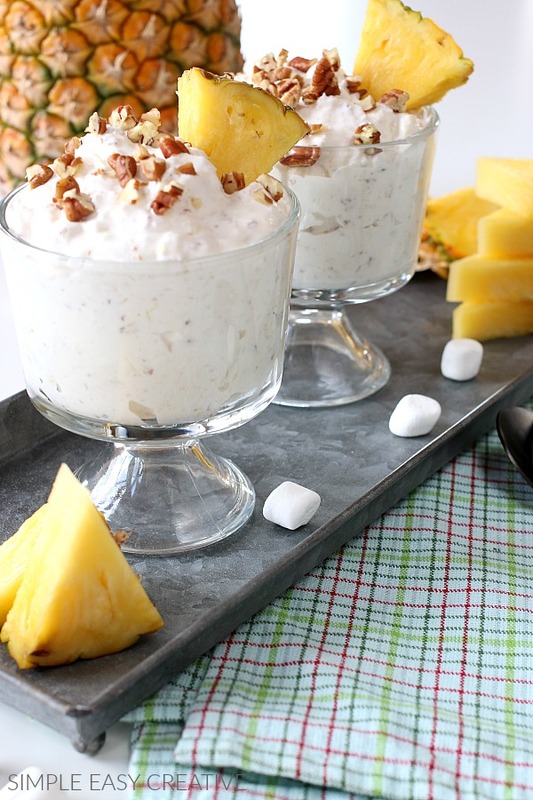 There are endless options for snacks to serve with Pumpkin Fluff, it’s totally up to you and what you like. This Fall Charcuterie Board is filled with delicious food that goes really well with the Pumpkin Fluff Recipe. 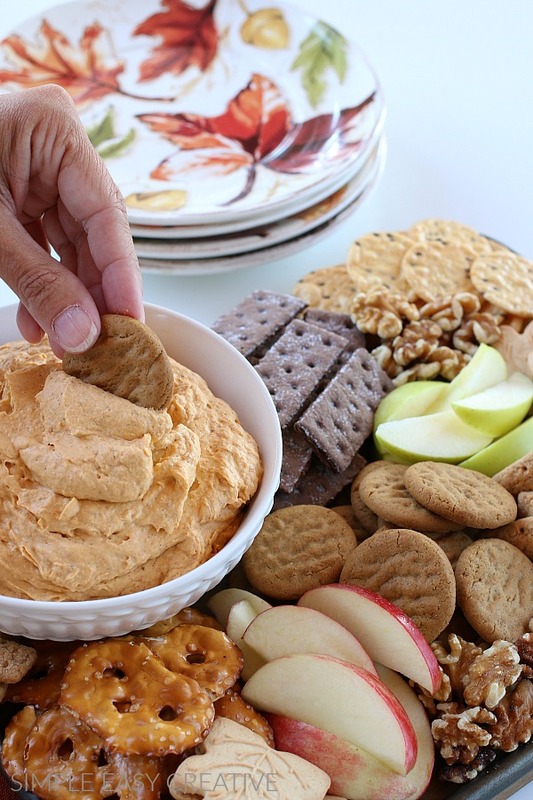 First, before I shopped, I thought of flavors that would go well with the pumpkin fluff dip like apples, gingersnaps, graham crackers, and more. Then when I got to the store, I looked for any type of cookie or cracker that I thought would taste good with the Pumpkin Fluff. The chocolate graham crackers were a little different and added some rich color to the board. And the Maple Creme Sandwich Cookies were a nice surprise, the flavor and the shape worked perfectly. To put together the Charcuterie Board, start will a tray or cutting board. Then add the bowl of Pumpkin Fluff and work out from there. Add the food in small piles, filling in where needed. Then add the smaller items like walnuts and pecans to fill in the openings. After slicing the apples, be sure to place them in lemon juice to prevent browning. Then pat them dry with a paper towel before adding them to the board. Have you made a Charcuterie Board? After diving in and making my first one for a Brunch Table, and then with the Compound Butter for the Luau Party – I was hooked! They are super fun to put together, look impressive but are super easy! That’s MY kind of entertaining! 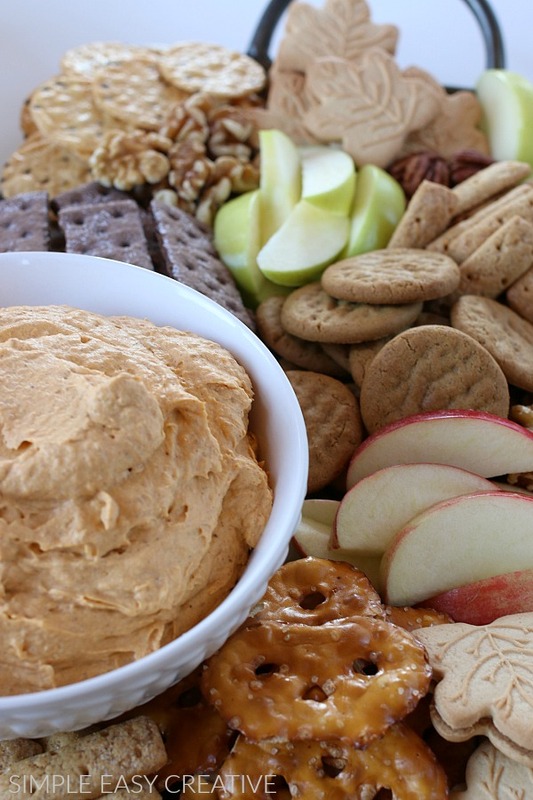 This Fall Charcuterie Board is filled with flavors of the season – cinnamon, apples, maple, walnuts, pecans, gingersnaps and of course the Pumpkin Fluff Dip! What food would you add to your Fall Charcuterie Board? Easy 4 ingredient Pumpkin Fluff Recipe! 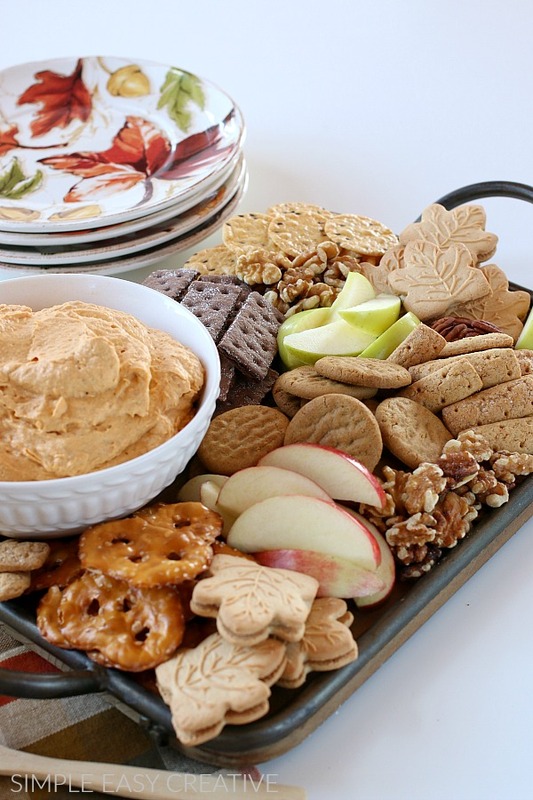 Perfect for Fall Entertaining! Wow! That’s awesome! Thank you so much for your kind words! I’m thrilled you all liked it! And the items on your tray sound perfect! Love it!! This looks so easy and yummy! Perfect fall appetizer! Thanks so much Jamielyn! It’s super easy too! I love all things pumpkin! I’ve never tried this before! 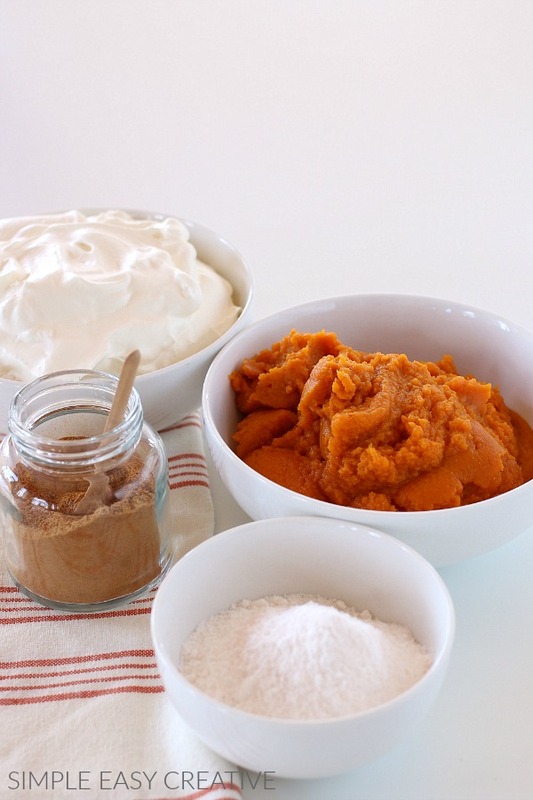 If you love pumpkin, you will love this Pumpkin Fluff! Yum! 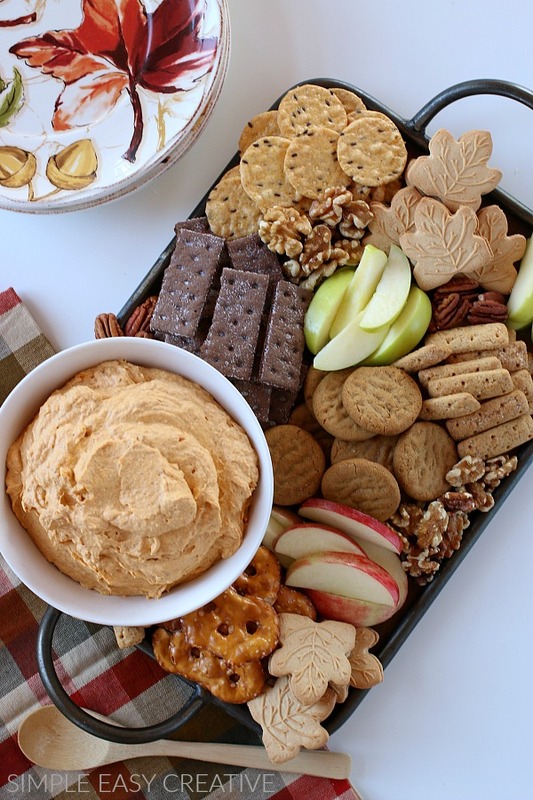 I love dips, and this one looks perfect for Fall. Love all the cute cookies too! Yumm! 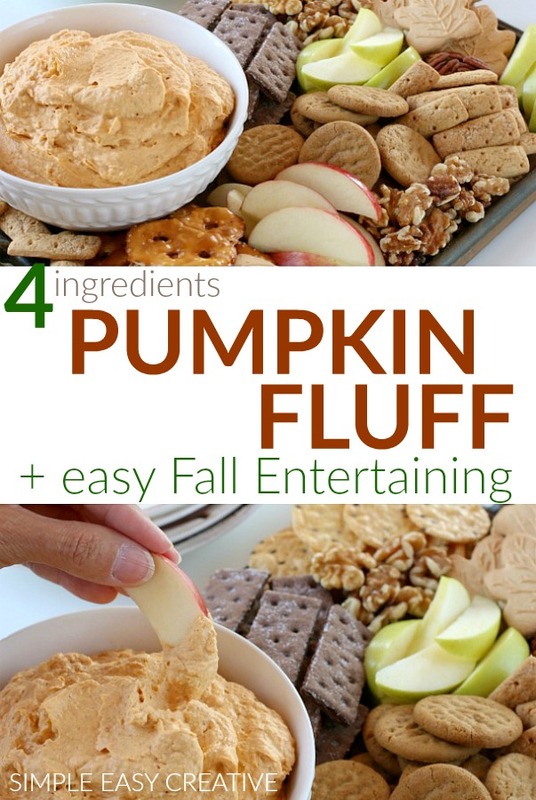 What a great fall recipe!! I love anything pumpkin! I love simple seasonal recipes! Thank you! Thrilled you like it Kim! Thanks so much!